In about three months, it will be one year since Android 7.0 Nougat started rolling out to the Google Nexus 6P and Nexus 5X. However, the OS has hardly made it past the 8% mark when it comes to the Android OS market share. While a good number of 2016 flagship devices have already been updated at this moment, there is a huge list of devices that are yet to receive the same treat, ranging from flagships to midrange handsets. Today, American carriers AT&T and T-Mobile have something for those using the 2015 HTC One M9 and the budget LG Stylo 2 Plus, respectively. It’s been a while since the HTC One M9 received the update to Android 7.0 Nougat, something that must have made AT&T users of the phone quite unhappy. But at last, the update is here and it also carries February’s Android security patch. The update has software version 4.27.502.7 and weighs about 1.4GB, which is a little heavier than the 1.1GB version that T-Mobile is rolling out to the LG Stylo 2 Plus. The device was thought to be receiving the Nougat treat back in February, but T-Mobile had made a mistake by including Nougat in describing what was just a monthly security update. But this time around, the current OTA update, which carries software version V55020a, is indeed a Nougat update. 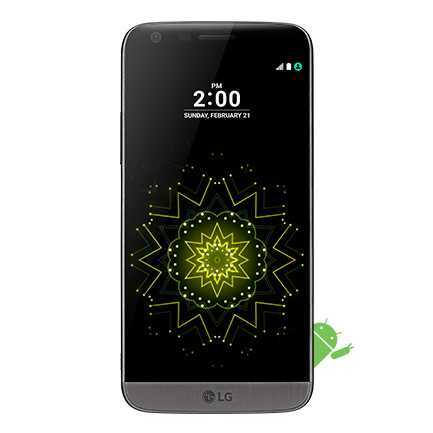 Apart from the HTC One M9 and LG Stylo 2 Plus, Android 7.0 Nougat is also being rolled out to the unlocked LG G5 with model number RS988. This is the U.S. variant of the G5 and interestingly, it has taken about six months or so for this OS to hit this variant, yet other regions started receiving the OS back in 2016. But this is just how OTA updates work – very unpredictable. Since this update also carries Android 7.0 Nougat, it is more than 1.3GB in size and it will install software version RS98821a, which also includes April’s Android security patch. Unlike the One M9, LG Stylo 2 Plus and LG G5, the midrange ASUS ZenFone 3 Max is receiving a newer version of the same OS – Android 7.1.1 Nougat. This OS is rolling out to the ZenFone 3 Max with model number ZC553KL and carries software version 14.0200.1704.119. All of these phones are receiving their updates over the air and as a result, it might take up to a week before everyone actually receives the OTA notification. Rather than waiting, you may also check for its availability via Settings>About phone>System updates and do a manual update. But make sure you have a stable Wi-Fi connection for downloading the update and at least 50% battery power to see through the whole upgrade process. Update: Verizon’s LG Stylo 2 V has also joined the Nougat party. This is the same variant as the Stylo 2 Plus on T-Mobile and the update has software version VS83520b, weighing over 1GB.